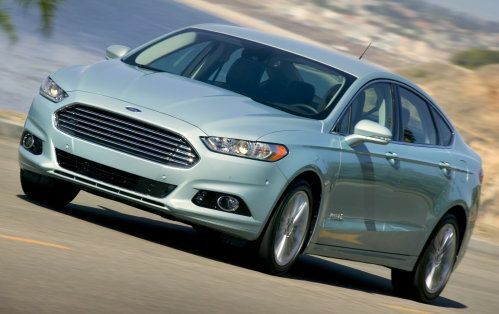 Ford clinches once again awards and top ratings with its Fusion. The company has come back with a vengeance in a few years. Ford’s success is quite impressive considering where the company was 6 years ago. Its intelligent business model is about leveraging its presence across all vehicle categories, while offering choice with quality. It shouldn’t surprise anyone to see the company get top notch ratings from the National Highway Traffic Safety Administration, NHTSA either. A Little Ford History. If you recall the gloomy years of the mid-2000, things weren’t looking good for the Detroit trio. Hungover from decades of exuberant profits and blindly fighting any states imposing stringent emissions controls, Detroit was marching blissfully into oblivion. Then the floor let go and Detroit was caught with nothing to show for, short of a monumental debt that pushed the then administration to bail it out with TARP. Somehow Ford was able to whether the storm a little better without accepting the TARP relief fund. Here is how. I met with Neil Schloss, VP and & Treasury of Ford a while back and directly asked him if Ford had the insight or was it luck. He told it was a bit of both. Ford renegotiated its loans in 2006, two years before the end of the world for Detroit. But the real trick was how Bill Ford hit it with Alan Mullaly and how the duo revamped Ford’s sagging portfolio. Mullaly saw Ford was only known as the Mustang and F150 maker and with that in mind, he quickly commissioned a mid-size sedan. Thus, the Fusion was born. Fusion, Hybrid And Now, Plug-In Hybrid. The fusion line did well for Ford. It showed the company was able once again to be relevant, it quickly brought it back on the forefront of relevancy and the Fusion got great ratings from the get go. My first test drive of the Fusion hybrid showed a car that was well thought out and began to make me think there is still something Detroit could offer the world of automobile. The hybrid drive was particularly sophisticated back then, you could drive it in electric mode only up to 47 MPH. It was even hypermiled by an enthusiast with over 1,000 miles on a tank of gasoline. NHTSA Top Rating. Top rating from the NHTSA is no small task and considering how far Ford has come in so little time is impressive. The 2013 Ford Fusion and Fusion Hybrid received a top vehicle safety rating from the NHTSA, a five-star Overall Vehicle Score in NHTSA New Car Assessment Program (NCAP) testing, which combines vehicle performance in frontal and side-impact crash tests and resistance to rollover. This safety award is in addition to the 2013 Fusion named a Top Safety Pick+ from the Insurance Institute for Highway Safety, IIHS last month, the highest rating the organization has for vehicle safety. Ford’s strategy and daring bet has paid off over a very short amount of time, letting the Detroit carmaker take on the likes of Toyota and edging out its local competition. This proves to show an intelligent business model that diversifies its portfolio, giving choice, while highlighting security is key in today’s market. This is well shown with Ford’s Fusion and Fusion Hybrid receiving top ratings from the National Highway Traffic Safety Administration, NHTSA.